By 1830, The Industrial Revolution was well under way. Britain was the most important country in the world. 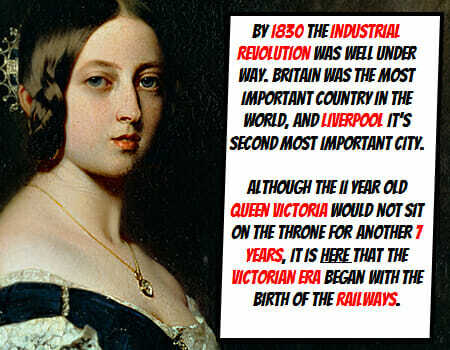 Queen Victoria would not sit on the throne for another 7 years, but it is now that the Victorian Era began with the birth of the Railways. 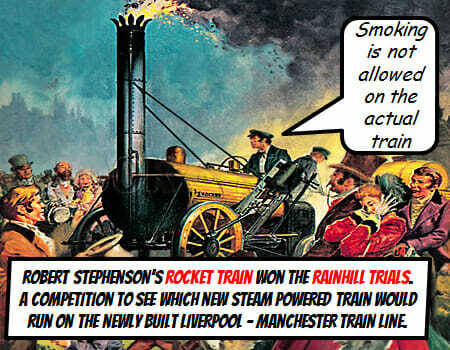 Robert Stephenson’s Rocket train won the Rainhill trials. A Competition to see which new steam powered train would run on the newly built Liverpool – Manchester train line. 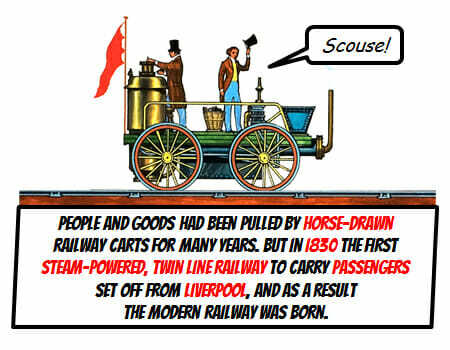 Experiments with steam powered movement had been happening for the past 50 years and the Liverpool Railway was not the first to carry passengers, it was however the first steam-powered twin line railway to carry passengers, and as a result the modern railway system started here in Liverpool. 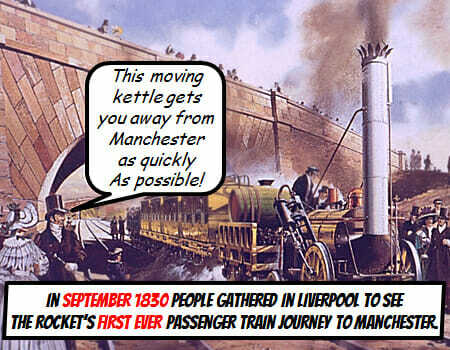 In September 1830 people gathered in Liverpool to see the Rocket’s first ever passenger train journey to Manchester. 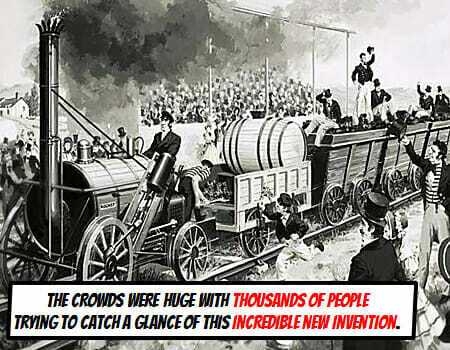 The crowds were huge with thousands of people trying to catch a glance of this incredible new invention. 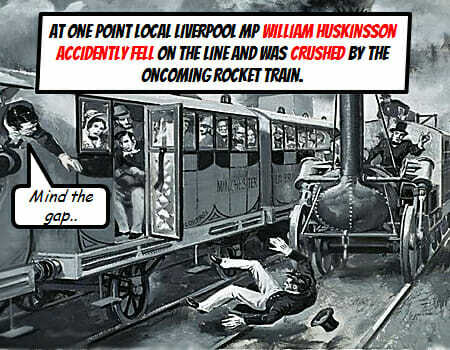 At one point local Liverpool MP William Huskinsson accidentally fell onto the line and was crushed by the oncoming Rocket train. 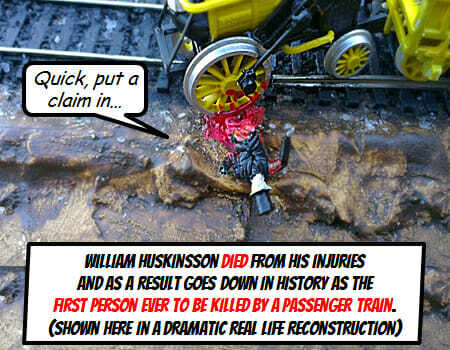 William Huskinsson died from his injuries and as a result goes down in history as the first person to be killed by a passenger train. Other Liverpool railway firsts include Edge Hill the world’s first train station. 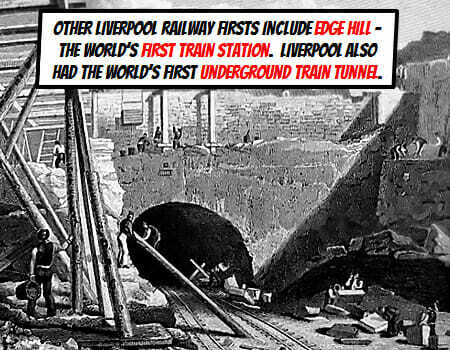 Liverpool also had the world’s first underground train tunnel. Before arriving into Lime Street, passengers would have to jump off at edge hill and have their trains pulled down by ropes to complete the last part of the journey into Lime Street through the tunnel. 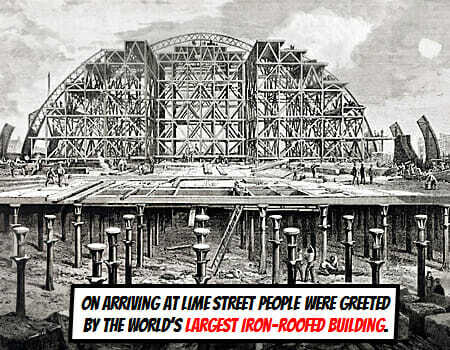 On arriving at Lime Street Station people were greeted by the world’s largest iron-roofed building. 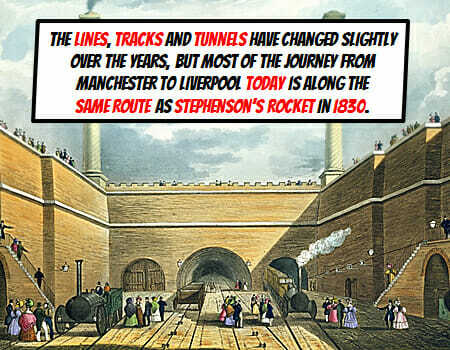 The lines, tracks and tunnels have changed slightly over the years, but most of the journey from Manchester to Liverpool today is along the same route as Stephenson’s Rocket in 1830. The railways transformed England and the world perhaps more than any other invention in history. 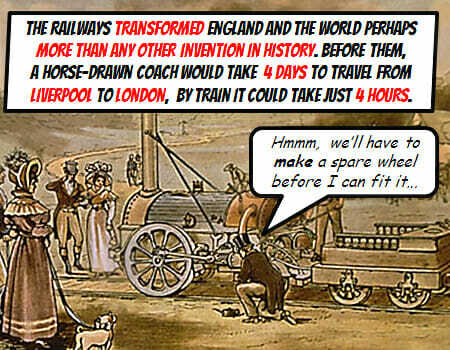 Before them, a horse-drawn coach would take 4 days to travel from Liverpool to London, by train it could take just 4 hours. 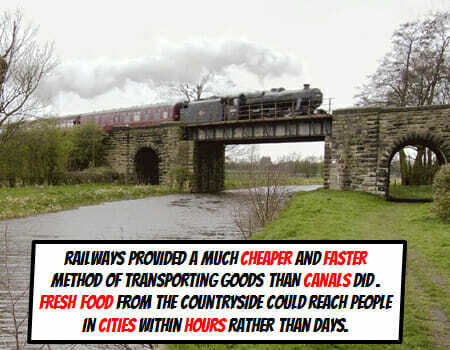 Railways provided a much cheaper and faster method of transporting goods than canals did and fresh food from the countryside could reach people in cities within hours. 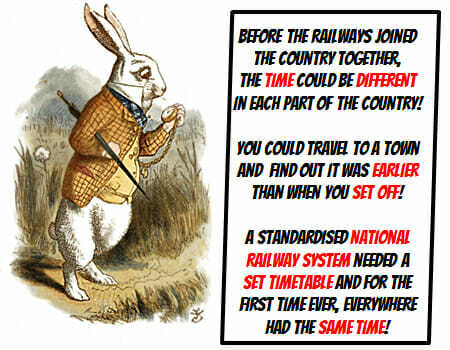 The railways meant that for the first time people could travel about the country and work in different places easily. People went on holidays for the first time in places like Blackpool, which became hugely popular.